Jamie here to share a new card file! 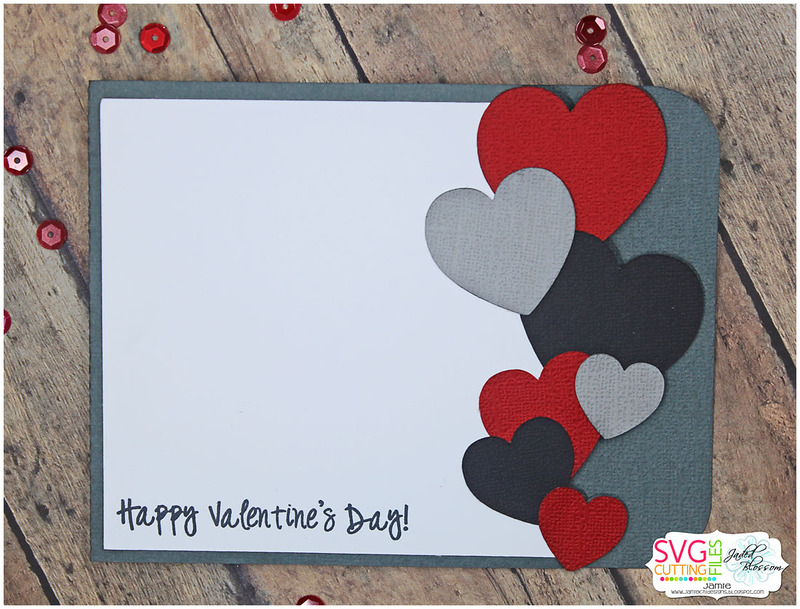 I created a card using the new Die Cut Edge Hearts file. I went with the a simple color scheme, but so many options with this file! Then I added a sentiment from Valentine Wraps. You can purchase the new file on Friday along with a few others being sneaked this week! I love this awesome file! !